Africa seems ready for another technological breakthrough. Morocco opened High Speed Railway, connecting Casablanca, Tangier and Rabat on Thursday (15/11). 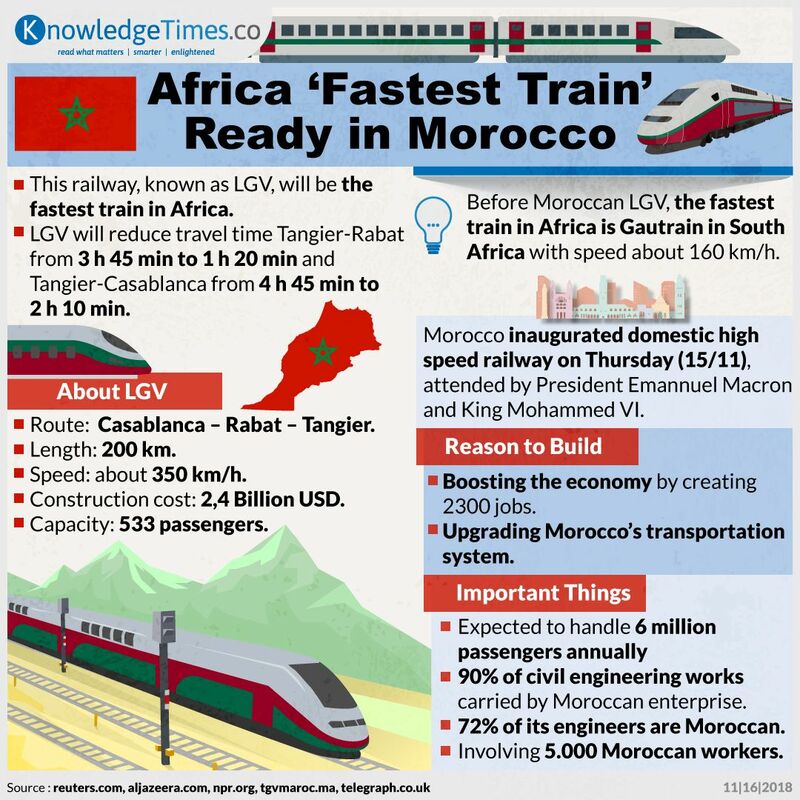 Poised to be the fastest train in Africa, this railway is built to upgrade Moroccan infrastructure and to improve the economy. Congratulations, Morocco! Looking forward to try it! Why Heat Waves are Becoming More Common?